The 2017 BMW 3 Series is sure to make an impression on the streets of New Rochelle, but the commitment to style and luxury doesn’t end with a first look. This midsize sports sedan is all substance, which you can see as soon as you step inside. The interior of the 3 Series comes fully equipped for style, functionality, and comfort, making it the ideal sedan for commutes to the city from Yonkers or Mt. Vernon. See it for yourself at BMW of Westchester in White Plains, NY. Make a strong impression with the Luxury Package, which includes a choice of premium leather seating surfaces with premium stitching on the inside, as well as chrome accents on the outside. The BMW 3 Series base model comes standard with leatherette upholstery, which gives you the look and feel of leather along with strong durability. The driver and front seat passengers are able to set the temperature of their portion of the cabin thanks to this premium climate control system. 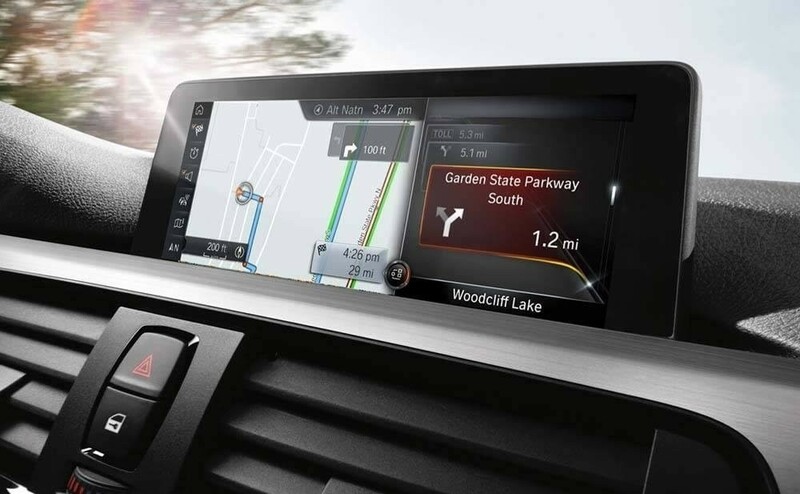 Enjoy top-of-the-line entertainment and information access thanks to this premium infotainment system with features like HD Radio™, SiriusXM® Satellite Radio, Bluetooth® connectivity, and more. We’ve only scratched the surface of what’s on offer inside this luxury sports sedan. All passengers will also enjoy long-term comfort thanks to the seats’ quality back and side support, while front seat passengers can also take advantage of 10-way power adjustable front seats with thigh support and 4-way lumbar support. Make an impression with the available Fineline Anthracite Wood trim with Pearl Gloss Chrome accents. Enjoy the open feel of the sky with a one-touch power moonroof, and let rear seat passengers stay comfortable with a rear-seat center armrest with cup holders. If you would like to take the new BMW 3 Series for a test drive near Mt. Vernon or Yonkers, then come by BMW of Westchester at 543 Tarrytown Road in White Plains, NY. We’re open Monday through Saturday, and you can find a rotating selection of new vehicle specials going on anytime. If you have any questions for us, our accommodating staff is here to answer them. Just fill out our online contact form or give us a call at (914) 761-6666.